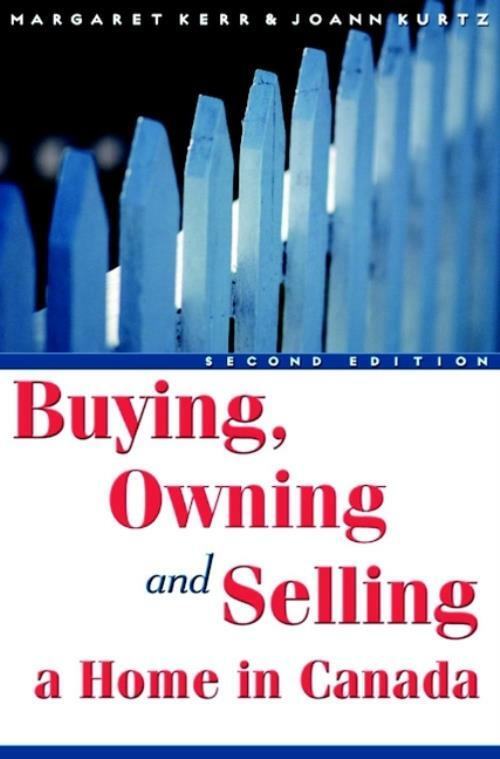 If you′ve ever bought, owned, or sold a home or are about to you know how exciting and how daunting it can be.Buying, Owning and Selling a Home in Canada, Second Edition, completely revised and updated, tells you absolutely everything you need to know about the joys and headaches of owning a home. Complete on–volume reference on every stage of owning a home. Covers shopping for a mortgage; negotiating your agreement of purchase and sale; signing contracts with renovators, movers, and others; understanding those mpenetrable insurance policies; dealing with problem neighbours and much more. Your "operating manual" for legal issues as well as the everyday problems of home ownership. Written in plain English that′s easy to understand. Includes helpful, practical checklists and forms. Tells you what you need to know to prevent and solve many problems on your own. What you need to ask lawyers and other professionals it may even help to reduce the fees you′ll have to pay. Completely revised and updated including: how to look for a home on the Internet and how you can use your home to save, or get more money. Expand information on such topics as: condominium ownership, making offers on a home, and homeowner′s insurance, to name just a few. Chapter 2: What Can You Afford? What Does It Cost to Buy and Own a Home? How Much Money Do You Have for Your New Home? Chapter 3: Where Do You Want to Live? What Does a Lawyer Actually Do? What Causes of Damage Can You Insure Against? How Much Insurance Coverage Should You Have? Chapter 10: You′re Home. Now What? What′s Involved in a Renovation or Major Repair? Who Can Come onto Your Property? What Can You Do to Keep People Out? What Can You Do if Someone Gets In? How Do You Treat the People Who Come In?